The customs of French culture are varied. Some are regional and some apply to the entire culture. If you are traveling to France it is worth visiting many places to get a broader experience. French Traditions: French traditions including special ways of celebrating religious holidays, national holidays such as Bastille Day, and special wedding traditions.The French also have a rich tradition of the arts, and many famous French writers and famous French artists have merged from this notable nation. French Social Customs: French social norms including physical and verbal greetings and eating customs and culinary norms. French Idioms: Some French phrases sound strange to non-French speakers, but these creative expressions are common in the language. There are many other French cultural customs, such as the way the French speak and write the days of the week and months of the year, or express themselves in formal or informal expressions of saying hello in French, goodbye in French, and expressing gratitude in French. Each region of France has a distinct character and customs that go along with it. Père Lachaise, here the French custom is to visit the Mur des Fédérés where the insurgents from the Commune de Paris fought in 1871 and were executed. At one time it was customary for counts and courtiers to build homes in this region in order to be close to the royal palaces. The Loire valley was the seat of government until the 17th century. Now that grand châteaux such as Chambord, Chenonceau and Cheverny are open to the public, it is customary for French from all walks of life to vacation and tour this region. Normandy with it's coastline has beautiful resorts that still attract their share of the famous and wealthy. Beach towns like Deauville, Trouville and Dieppe remain popular places among the French even though the weather can be cold. Another northern custom involves making a pilgrimage to Mont-St-Michel which was the first abbey built after the Archangel Michael appeared to Aubert, Bishop of Avranches. Brittany has a very distinctive Breton culture with it's own unique customs. For example on festive occasions residents wear traditional Breton costumes of coiffes (elaborate lace headresses) for women and black jackets, trousers and wide-brimmed hats for men. It is customary in Lyon to still abide by traditional meal times including a large mid-morning mâchon meal of charcuterie. Cheeses such as Époisses, Pontigny and Fontenay, which were originally made in monasteries. It is also customary for Burgundians to cherish wild game and produce such as snails, boar, quail, thrushes and woodland mushrooms. Bresse chickens are renowned and raised on a special diet. Bordeaux has a rich custom associated with wine production. Médoc is the most famous part of the Bordeaux wine region with 180 wine producing properties or châteaux. The vines are customarily grown on sleight heights where the soil is plentiful and less water logged from the nearby coastline. 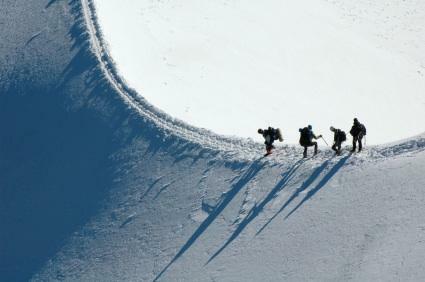 It is custom to climb and ski in the French Alps. The most accomplished will take two days to climb to the summit of the highest mountain in Europe, Mt Blanc (4,800 feet) in early spring. They will then spend all of the next day skiiing on new, fresh powder down to the border town of Chamonix. Both of these areas have a strong custom of attracting artists and intellectuals. Post-Impressionist painters like Cézanne, Van Gogh, Gaugin and Toulouse-Lautrec were inspired by the natural world and the beautiful southern light in Provence. Later artists like Matisse, Pierre Bonnard and Picasso worked closer to the Côte D'Azur. These artists were influenced by the customs of artists and craftsmen of earlier times including Romans, Greeks and indigenous sandos. Needless to say there is a custom of luxurious living in Nice and other smaller towns along the coastal Riveria. There are many varying customs of French culture based on location as well as era. Knowing something about whatever region you visit will make your experience in France that much richer.